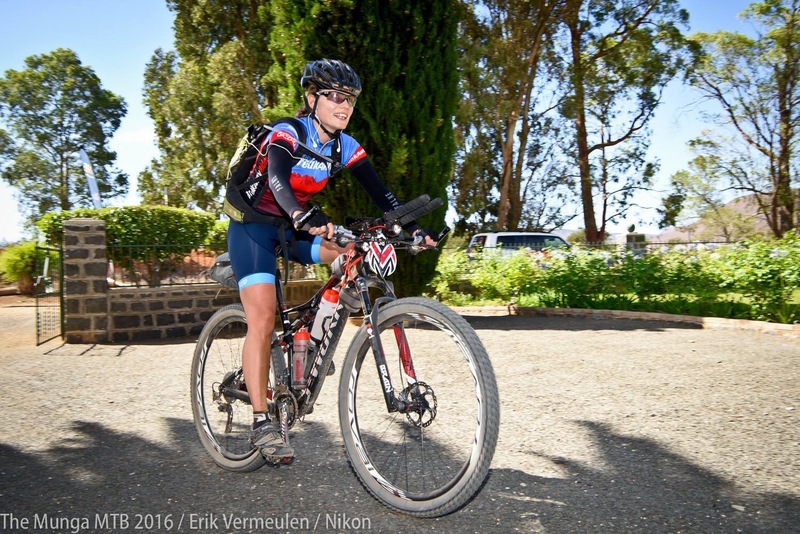 Katja Steenkamp was the second woman to finish The Munga in 2016, and the tenth rider overall. A formidable achievement considering the challenge at hand. 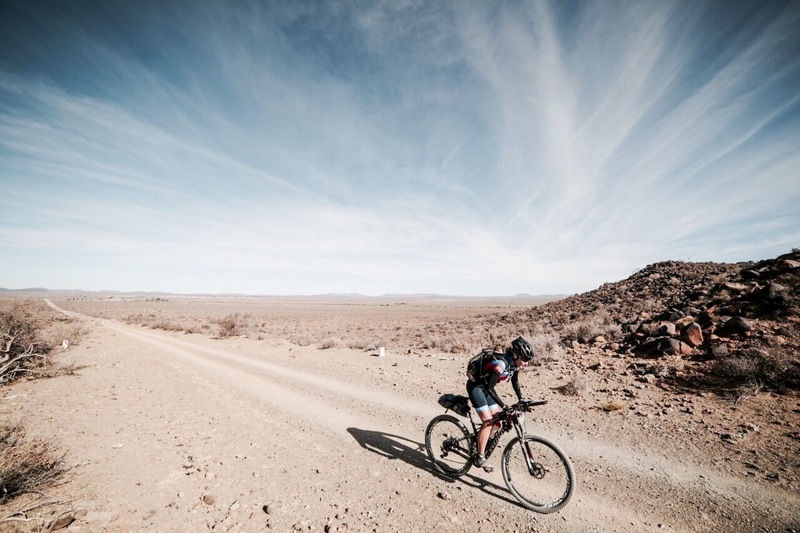 For those who don’t know: The Munga is a 1000 kilometre plus, nonstop race across the heart of the Karoo from Bloemfontein to Wellington, outside Cape Town. 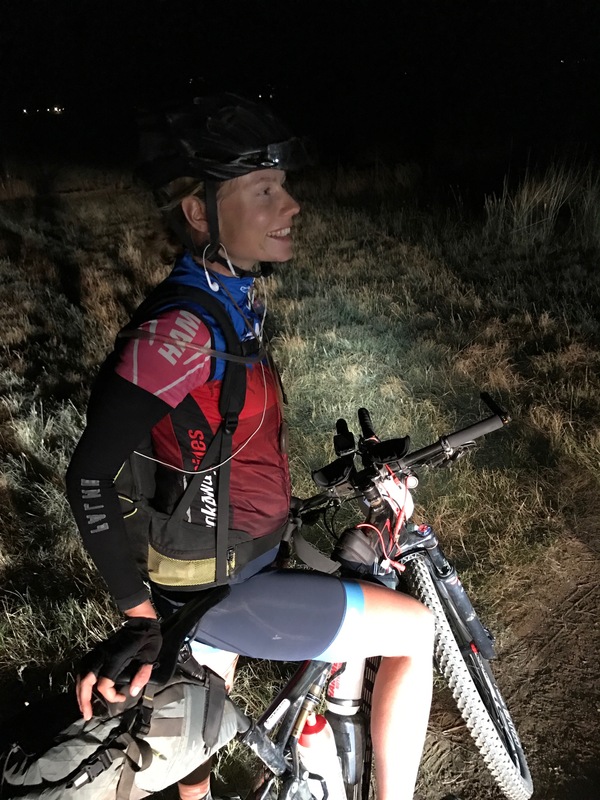 We spoke to her about the experience, and to try and learn a little more about the trials involved in finishing an ultra-endurance event like this. Not many people would be attracted to a race like the Munga, covering over 1100km nonstop: what drew you to the race in the first place? I have always been attracted to activities that seem impossible to do, at first. Pushing myself out of my comfort zone and going far beyond what I know excites me and makes me feel alive. To complete over 1000 kilometres in one go, riding day and night, with as few breaks as possible sounded like a great challenge and something I’ve never done before. I knew I could ride the distance, my 12 000 kilometre journey from Cairo to Cape Town in the Tour de Afrique certainly prepared me well. But the non-stop racing format and inevitable sleep deprivation adds an entire new layer to the challenge of extreme distance travel. What was your weapon of choice: hardtail, dual suspension or gravel bike, and do you think it was the right call? I rode my Specialized S-Works dual suspension. The perfect weapon for the task. The roads were extremely corrugated or sandy. I would have cracked with anything other than a dual suspension. I love riding gravel bikes but for such a long distance, it’s just not the right bike for me. It eats up too much energy since your body must constantly absorb the impact. I would always go with a dual suspension for this kind of racing. What was the hardest part of the race for you? About 30 kilometres into the race I totally blew. It was 44 degrees, we were in altitude, the wind was hauling face on, deep sand and corrugation, and my 2.5 litre water I carried with me was finished. I started too fast and my body wasn’t adjusting to the extreme conditions. I thought this was me ending the Munga before it even started. Suddenly, I found myself in front of a farmer’s truck that served ice-cold water. I took my time, drank as much as I could and tried to recover. I rode slowly on and not long after found my rhythm and strength again. The hardest part of the race for me was the sleep deprivation in combination with the extreme heat and head wind. Your eyes just want to shut and the sun is frying you alive at the same time. It’s a very unpleasant feeling. One tends to slow down a lot. The trick is to push through that wall and keep on pacing, drink lots of coffee and Bioplus. I tend not to over think or plan too much. I knew the distances of the main water points and race villages. That was about it. I had not looked at the profile or the areas we were going through. This approach served me well until I hit the Tankwa section (between Sutherland and Ceres). 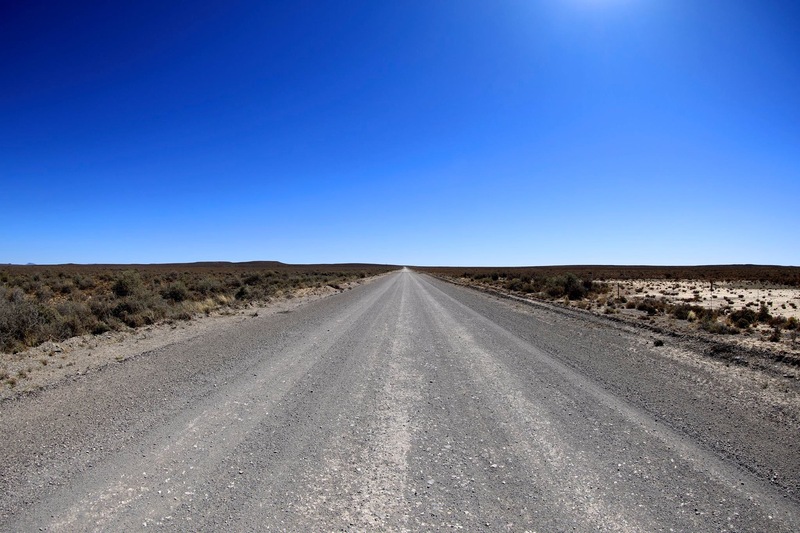 I had heard that it’s flat and fast and so I thought I will be in Ceres in a few hours. I couldn’t have been more wrong. This section was truly the most testing of the entire trip. We had dropped out of the mountains and ahead was this massive semi-desert basin stretching out forever to the horizon. I had no idea which direction I was going and just followed the navigation on my Garmin. I ran out of water after about 4 hours of riding in blistering heat and had lost count of the kilometres that were left to the next water point. My Garmin had reset itself the night before and so I had to manually count the kilometres. My survival mode kicked in. Totally sleep deprived, exhausted, and dehydrated, it took me a moment to realised that I stood in front of a padstal. I had about 2 litres of coke and ate some of the owner’s food before I continued the suffering. From there it was ‘only’ another 90km to Ceres. A quick ride, the shop owner said. About 20 km down the road, fighting with the angry head wind and baking conditions once more, I was close to crying and questioning for the first time why I had signed up for this. The corrugated road rolled over countless hills for about 40 km before the climbing started into Ceres. By that time, I could not stand as my knees started to hurt badly and I couldn’t sit as my bum was a total mess. I was nauseous from the pain, the exhaustion and dehydration. But I simply carried on as if it was my duty to do so. Arriving in Ceres and then carrying on to Wellington is all left in a blur. To complete the Munga takes much courage, discipline, and a very high pain threshold. You need to be prepared to suffer for long durations. Against all odds, to be able to ride over that finish line feels extremely special and something only a Munga finisher can relate to. Once you are there, you know you can do whatever you put your mind to. What sort of training do you do for a race of this sort? It is certainly not covered by your average marathon race training plan. Most of my training was in lower intensity zones more geared towards endurance. 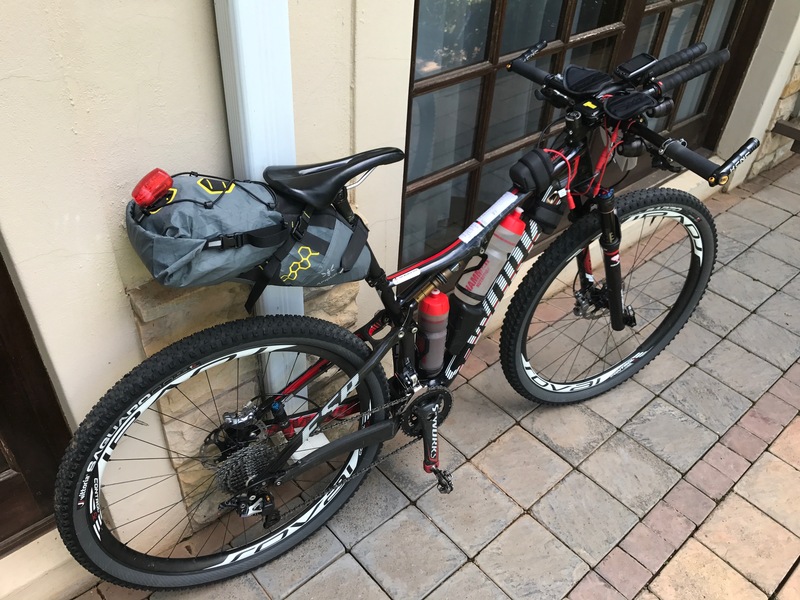 From about August, I started riding more long distances of about 100-150 kilometres at a relatively easy pace and did long slow climbing sessions. I also did a few races like the Pioneer Trek to rev the engine.